Kanye West has launched a twitter tirade against Drake, claiming that the rap star has been issuing threats. West sent tonnes of tweets out to his fans on the subject. This was one of the tweets, and they all followed a similar theme; "So drake if anything happens to me or anyone from my family you are the first suspect So cut the tough talk." A previous tweet said simply "Drake called trying to threatened me." 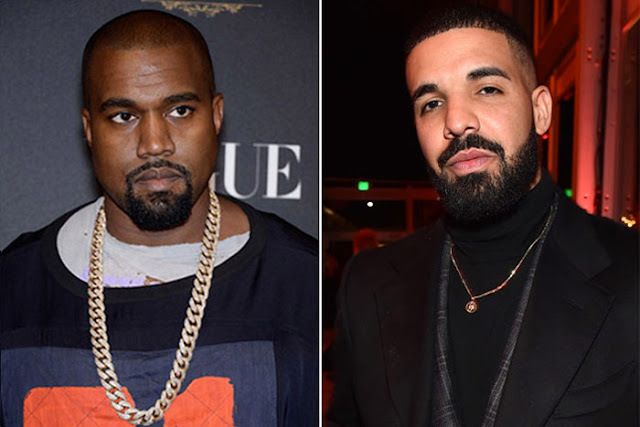 Shortly followed by "There would never be a drake without a Kanye west so never come out your mouth with a threat"
It is believed that the feud began when Drake's people called Kanye's people asking to use a sample from a Kanye West song called Say You Will. Kanye launched a Twitter attack targeting Drake shorty after the request was made. He wrote; "Still need that apology for mentioning the 350s and trying to take food out your idols kids mouths... Been trying to meet with you for 6 months bro You sneak dissing on trav records and texting Kris talking bout how's the family." The rappers first made each other's acquaintance back in 2008 when Kanye's management team also started to manage Drake. The pair first met in Hawaii in the early summer of 2009. Kanye and Drake continued to work with each other on a variety of projects over the years, and had many fall outs and fights along the way.